FFA members are selling beef sticks and summer sausage from now until December 4. 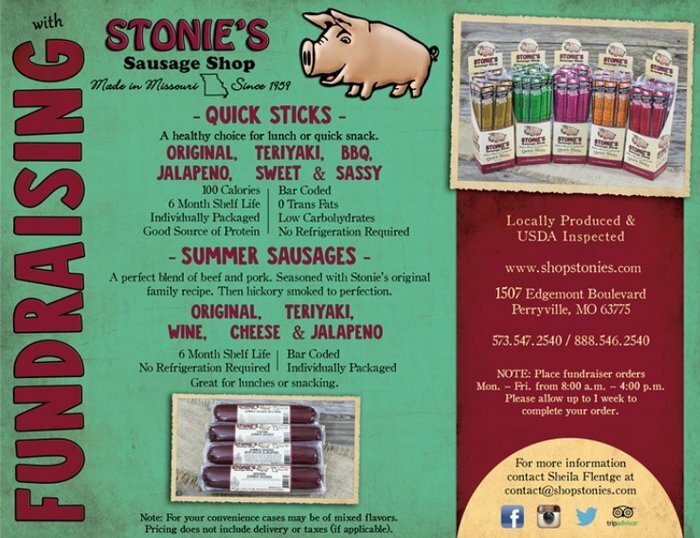 The meat is packaged at Stonie's Sausage Shop in Perryville, MO and there are several flavors available. Summer Sausage is $8.50 for a 12 oz package. They are available in Original, Teriyaki, Pepper Cheese, and Wine. Beef Sticks are also available for $24.00 per box containing 24 sticks. Flavors include: Pepper Cheese, Original, Teriyaki, and Bar-B-Que. You can also mix and match your beef sticks within a box if you would like. Contact an FFA member for details or call Lisa Luebkemann at 618-713-7125 to order.